Discussion in 'Make a Difference' started by Thexedor Markhamm, Dec 19, 2017. 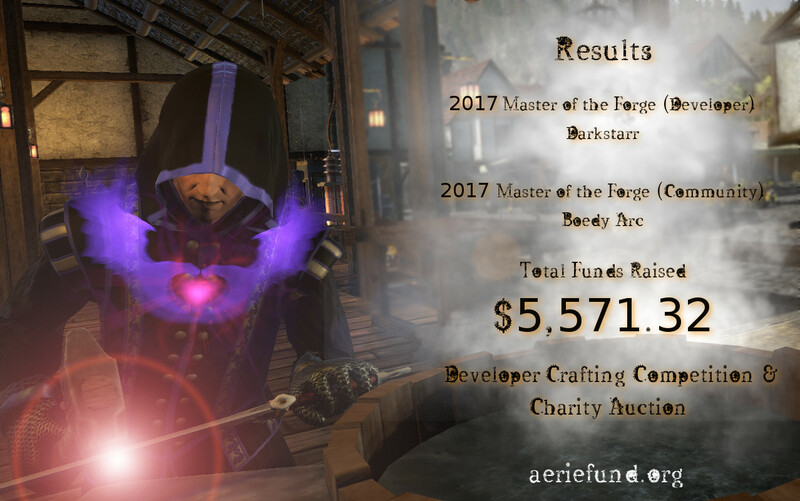 Thanks to our awesome developers and community members AERIE Fund raised an amazing $5,571.32 during the Master of the Forge auctions! These funds will be put to good use as we continue to help members of our community who are in need, and will provide us the needed operating resources to keep the AERIE Fund going for the year ahead. Since February of this year, we’ve raised an incredible $77,911.32 (including the MoF funds) and have paid out $70,584.00 to well-vetted players in need and to charities we support (Breast Cancer Research Foundation, Trevor Project, and the Children’s Miracle Hospital Network). 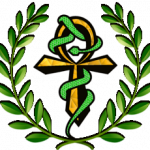 Thanks to your support, we're able to provide a place for Avatars to go when times are tough, and build an altruistic gaming network inside of New Britannia and out. For more info on AERIE Fund, you can visit our FAQ Thread or our website. Results are based off of cumulative 'likes' for submitted items. Darkstarr not only created truly epic gear, he did it twice. 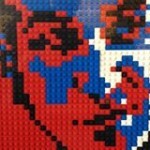 *Seriously* The number and quality of his pieces made this no easy feat. Not only were his creations death and chaos inspired, they were crafted over the course of days (during his off time). We're grateful for his dedication and his support. Boedy's Courage & Copper set was crafted with the finesse of a artisan. Those of you who know Boedy, know that he takes his crafting *very* seriously. This set was composed of nearly 1 million GP of in-game resources funneled through his impressive skillset at the crafting tables. We're honored that Boedy donated his time and energy to this cause. 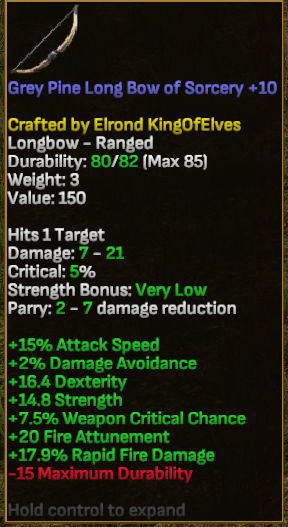 @Elrond - One of Novia Market's top crafters, this master carpenter submitted an incredible set of necro-wands that were a hit at the auction house this past weekend. Thanks, Elrond! Do go and check out his wares. You won't be disappointed. @Antrax Artek - When he's not collecting skulls in Blood Bay, Antrax is an amazing crafter who submitted his world-famous Paladin Hammer and and a heavily enchanted Sun Halberd *gasp*. When you see Antrax in Novia give him a shout out, but don't get too close. You probably won't live very long. These guys are busy (you know, launching a game) and we're humbled they spent some of their downtime crafting some goodies to support our org. At AERIE Fund we try to make giving and gaming a fun and rewarding experience. 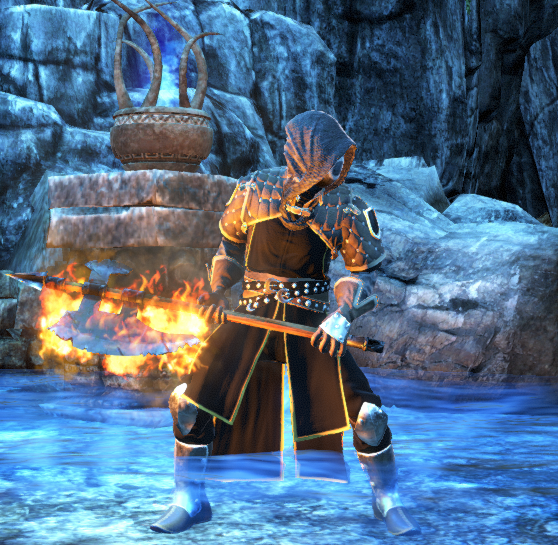 This Master of the Forge contest was our first attempt at a large-scale crafting competition. We definitely learned a lot from this event and will build upon what worked/didn't for future MoF events. For example, we learned that community members need more time (like months, not weeks) to work on their submissions. All in all, we're very pleased with our first run. We hope you guys enjoyed seeing what the Devs and Community-crafters submitted! We wouldn't be here without you. We've got some big things planned for 2018 - so stay tuned. There's more good works to do! 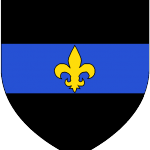 And, as always, if you or an avatar you know requires charitable assistance, do not hesitate to reach out to us. Visit aeriefund.org and learn how to apply for aid. hroth, By Tor, gadget and 7 others like this. It's not everyday i get a chance to do a good deed. Im glad i was offered this opportunity. You are doing great work Thex. hroth, By Tor, gadget and 4 others like this. 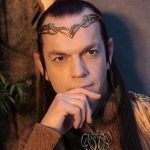 As are you, Elrond! Your work is awesome. And, I'm not just saying that - see my bow? I call it the Bane of Torc 'Dawl. 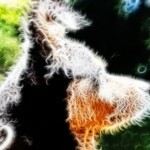 hroth, By Tor, gadget and 3 others like this. It was truly an honor to contribute! Lightning2, Sara Dreygon, By Tor and 7 others like this. Leelu, gadget, Thexedor Markhamm and 2 others like this. Sara Dreygon, By Tor and Thexedor Markhamm like this. thanks, this was an outstanding fund raiser, and i sincerely appreciate the opportunity to own some classic gear. Lightning2 and Elrond like this. 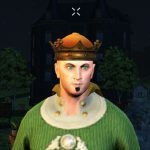 Great job devs, community and especially you, Thex! You're a real life avatar of virtue! hroth, gadget and Elrond like this.